6TH TRIAL FOR "IM LOST"
this is for "im lost," who wants to be a mod. use the information sheet above. 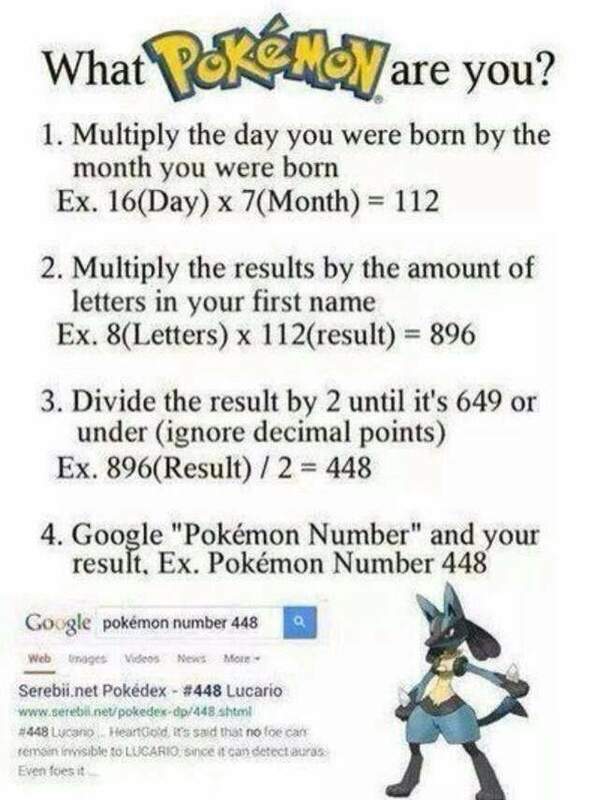 you are going to determine the inner pokemon of 50 characters. all of them were made by boron, not me. their birth year doesn't matter, so i won't list them. so, this is nidoking. their birthday is on november 26th. what is their inner pokemon? p.s. GUESS THE CHARACTER'S GENDER FOR BONUS POINTS! Re: 6TH TRIAL FOR "IM LOST"
but now, here's the third rule - they can be male, female, or genderless. since this is a trick one, i'll tell you this one in advance - gardevoir is genderless in boron's stories. now this character can be either gender. hint: gothitelle is attracted to them, and they're not homosexual. HAUNTER DUDE, NO. IT'S MORE FUN THAT WAY. sorry if i had to do that. 5: now, for gallade. of course gallade is male, so no gender thing this time. his birthday is june 5th. you get 10 points for each riddle you solve. 5 for specifying the gender. doesn't count if i specified the gender already. ...so... how's the point system work? to be determined. THEY WILL HAVE A USE. 6: sylveon. july 12th. guess their gender. hint: boron doesn't have a lot of females, and the females are usually the always-female pokemon. I'm going to wait until the point system is ironed out. I'm not going to go through a trial during which the rules are changed every 5 rounds.